Recently, I met with Jocelyn Choi Doe, a board member of the Women’s Achievement Network and Development Alliance (WANDA). Founded in 2007, WANDA is a non-profit that aims to increase the economic self-sufficiency of low-income, single mothers within the Bay Area. To accomplish this, WANDA offers education and mentoring services in addition to a savings match program which establishes long-term stability. This savings program helps employed single mothers reach concrete goals such as purchasing a home or funding a college education. Since its founding, WANDA has helped 105 women graduate and in turn become more financially stable. A WANDA graduate at work at the 3rd Door in Palo Alto. The highlight of my meeting was being introduced to one of these graduates. 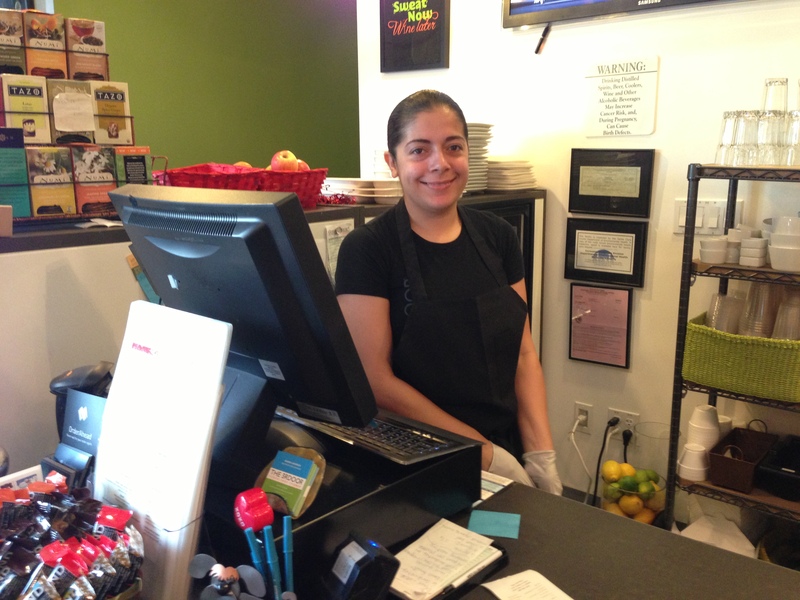 Through the program, she developed her financial sufficiency and business acumen through the program and is currently working at the 3rd Door in Palo Alto, where she makes a delectable portabella mushroom sandwich. The 3rd Door is a gathering place for fitness, food, and friends, and the company donates 100% of their profits to WANDA. It is wonderful to meet unique individuals like this whose success is a testament to the impactful work of grassroots community initiatives within the Bay Area. This entry was posted in Uncategorized and tagged community initiative, Where's James?. Bookmark the permalink.